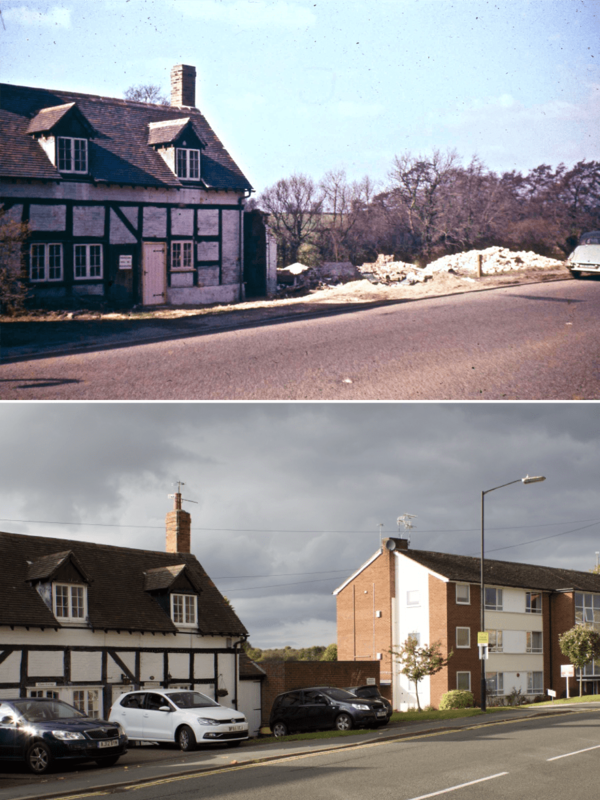 Little Chase Cottage, and its partner Chase Cottage (out of shot, left) are welcome survivors from the pre-conservation era of demolition and modernisation in the 1950s, 1960s and 1970s that swept away several historic properties in the area. They stand on Clinton Lane, which forms the approach to the Castle for travellers coming from the Birmingham and Balsall Common direction. According to Robin Leach and Geoff Hilton in A Portrait of Kenilworth in Street Names (Third Edition, Rookfield Publications, 2015) Clinton Lane was known as Ram Lane or Cripplegate Lane, where a cripplegate is a gate that allows sheep through but not larger animals. The name Clinton Lane today relates to Geoffrey de Clinton, chamberlain of Henry I of England who founded the Castle and the Abbey, and his son who founded the later borough of Kenilworth clustered around Warwick Road. The Clinton family name relates to a bastardised version of the name of Geoffrey’s seat at Glympton, a village and civil parish on the River Glyme about 3 miles (5 km) north of Woodstock, Oxfordshire. The Chase reference in the names of these cottages relates to Robert Dudley’s 740 acre hunting chase which swept across the fields behind these cottages, including Chase Lane of course, which is visible in the background of both images. 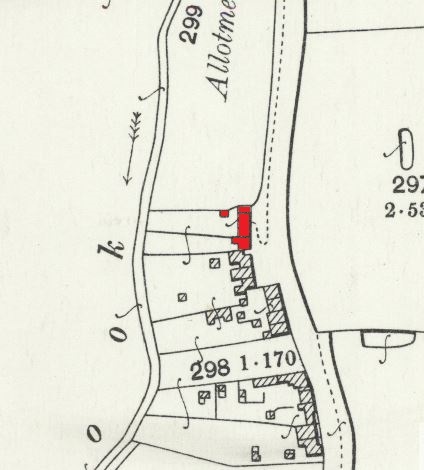 For reference, the surviving former Drovers Inn is the inverted L shaped building just south of the ‘170’ map marking. The properties north of the ‘170’ marking have also since disappeared, with their successors set back from the road. Presumably all of this demolition related to road widening schemes which never came to fruition, as cars passing through this stretch of Clinton Lane still have to stop and wait for vehicles coming in the opposite direction to overtake parked cars today. Little Chase Cottage and is neighbour presumably survived because they were set a little further back from the road than those around them that were demolished. Sadly, our intrepid 1960s photographer was too late to capture the demolished properties on film before they were reduced to rubble. The plot is now occupied for garages serving the Kenilcourt flats on the right hand side of the ‘now’ image which, as shown in the map above, were built on the site of former allotment gardens.